No-one will ever know you are wearing a brace !! We pride ourselves on being a very caring and professional Company. We are dedicated to providing a high quality product and service to every patient. 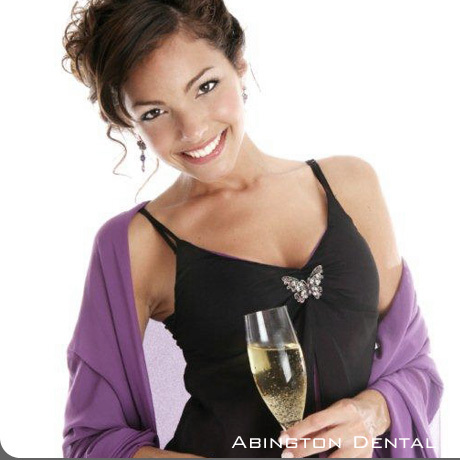 We will do everything we can to ensure that you get that perfect smile. Clearstep is the only system of clear positioners in the world that can treat young children and adults alike. The system has been designed to be infinitely flexible and can deal with the loss of baby teeth, the eruption of new teeth and pretty much any variable. So why is orthodontics so important? Why do I need it? Teeth that are straight and evenly spaced are easier to keep clean. So that means better oral health. Better oral health can reduce the incidence of heart disease, gastrointestinal disease, and other health conditions. A well balanced and even bite also reduces the risks of excessive stress, headaches, and strain on your supporting bone and tissue. Confidence- in job interviews, public speaking and personal relationships. Clearer speech - teeth play an important role in your ability to speak. Our system allows the orthodontist and you to keep a track of how your treatment is progressing. Your own models at each stage. Your orthodontist or dentist can MONITOR your treatment progress and has the ability to change direction at any stage. This treatment offers flexibility and is unique to each case. 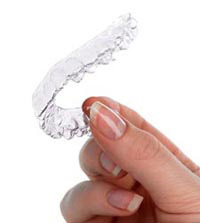 Clearstep is wire free and does away with the need to bond metal onto the teeth. It is invisible, and removable, allowing you, the wearer, to eat that steak dinner, give that public speech, meet that client without embarrassment or discomfort. You simply remove, brush, floss, rinse and reinsert: Clearstep will do the rest. Clearstep's specially formulated whitening gel can be used in conjunction with our positioners to effectively remove stains and discolouration. This system really can give you that White Bright and Straight smile. You just have to apply the Hydrogen Peroxide gel twice a day for 30 mins and your teeth will brighten and lighten over a period of days.